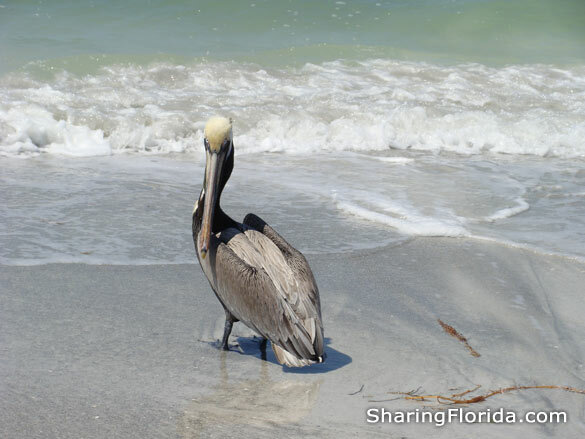 This photo was taken at Indian Shores Beach on the Gulf Coast of Florida. The Brown Pelican was recently REMOVED from the endangered species list! 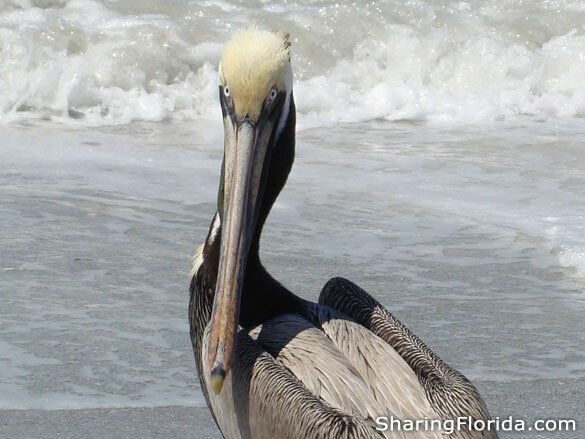 Brown Pelicans eat fish (from the ocean) so they should not be fed when you see them at the beach. Pelicans are both friendly and peaceful.